The trolling has been lots of fun lately and several areas to try. McGee Bay in the 16-22 foot water is non stop catching. Mostly 12-16 inch browns that will be great fish next year. 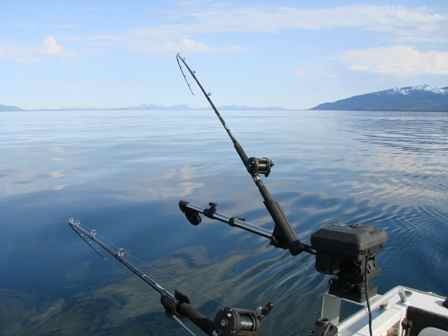 Put the lures down 12-16 feet and don't go too light with leaders as some bruisers cruise this area regularly. 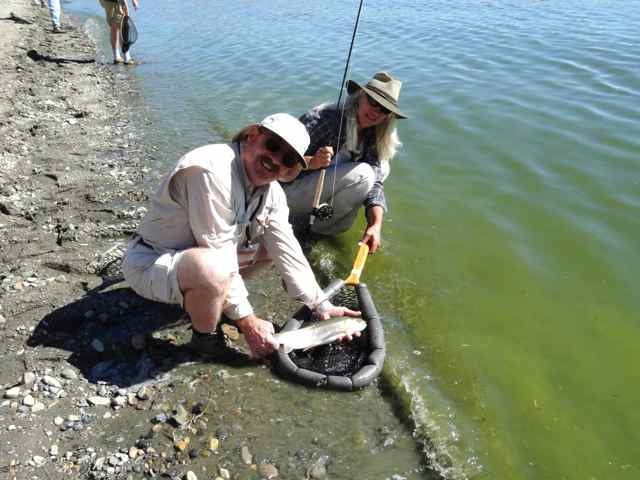 The north end has been the spot for the larger fish both on the 6 Bays side and the Leighton Springs side. In these areas fish the 12-16 foot water with lures down 8-10 feet. Only problem with these areas is an unusual algae bloom we have been having this time of the year. Check the lures often and put a Carolina keeper or a bead and swivel a rod length from the lures to stop the weeds and stuff from going down the line. With some wind we hope the algae problem will be a thing of the past soon. It is a big lake so other areas also will produce. The deep water Dam run has produced, Crooked Creek and the Hiltons are also suspect for some quality fish. Lure wise I have been stuck on the frog pattern Tasmanians because they work but it really is time to break out the Rapalas. Size 11, 13 in rainbow and black and silver would be great choices. 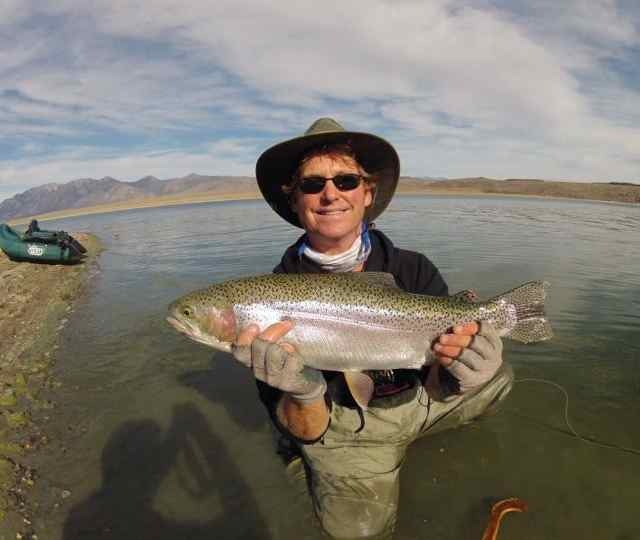 Get up here and have some fun with us, the lake is uncrowded with only our flyfishing friends to share in the fun.